An exceptional Victorian period lamp or parlor table from around 1870 has one major problem - the original marble top was cracked, cemented together securely and polished, but the crack line is very visible, see photos. 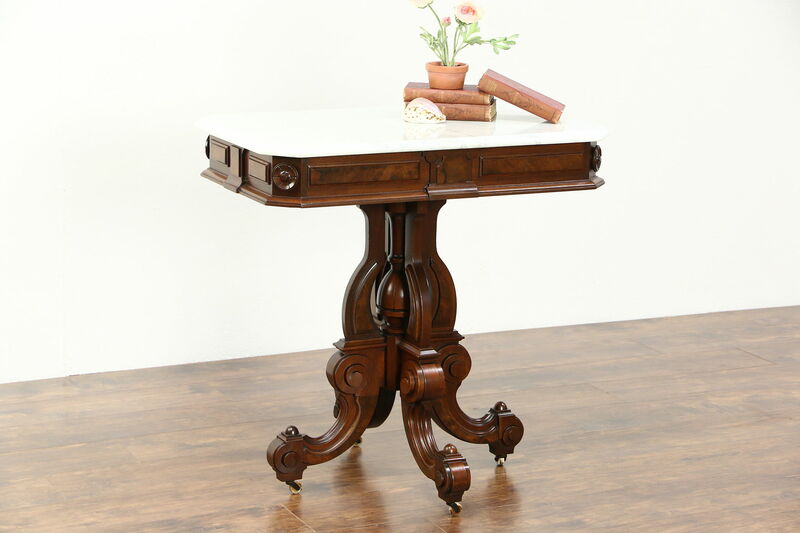 The solid walnut pedestal has burl blocks and an excellent renewed finish. American made antique furniture, the frame is reglued to serve another generation. Measurements are 32" long, 20" wide and 31 1/2" tall including the porcelain wheels.